Our programs are especially designed for infants and toddlers, ages 8 weeks - 36 months. 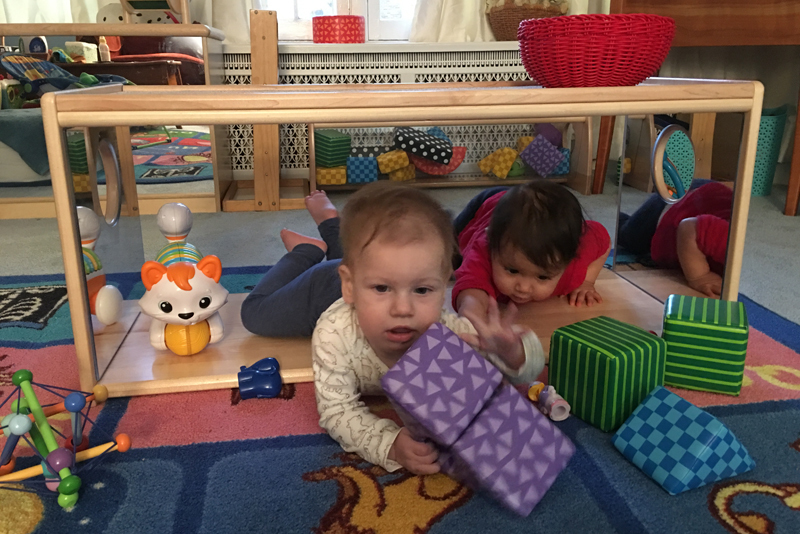 We offer small group activities as well as exploratory playtime. By using a theme-based model curriculum we have created a framework of learning through engaging, purposeful and developmental practices; following the guidelines provided by Illinois Early Learning Standards. We have designed a loving, safe, multi-sensory environment; a special place where babies can thrive and grow from a bundle of joy to a bundle of curiosity. Caring teachers provide individualized care that recognizes each baby’s natural rhythms for sleeping, feeding and playing. An infant’s day at Home Sweet Home Child Care consists of cuddling, rocking, singing songs, finger plays, reading books, and exploring age-appropriate toys. Babies are actively engaging in sensory experience using their five senses to explore the world around them. They're discovering different textures and colors. Physical milestones include rolling over, crawling and early walking skills. 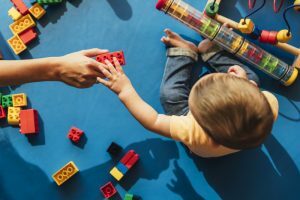 Infants are learning a variety of words and sounds, developing memory skills, and beginning to interact with other children. The room is filled with conversation and lots of smiles and hugs.